On Sunday afternoon (09/09/18) we were received information from multiple sources that a veteran was missing. Staffordshire Police were appealing for help in locating this person and a short investigation on social media unearthed some worrying information: He had been demonstrating suicidal intent for some time and was what we could consider a serious risk to himself. The subject has to be a member of the military community (worn the uniform). They have to be at serious risk from themselves or others. We have to have an official appeal from the leading agencies. Number one is self explanatory. While we understand that lots of people need help, our remit is military personnel. We can’t save everyone and if we tried, the result would be we’d save no one. Number two is again fairly straight forward. If we’re going to interrupt people while they’re watching The Great British Bake Off we better have a damned good reason. We have other avenues for non-emergencies, such as our chat app. Number three is a question mark. You might ask why we need the go ahead from official bodies before we can launch a search or raise awareness for a missing person. It’s a fair question. What we’re really aware of is that there are a lot of groups on social media where information is released too soon and the end result is that the people trying to help a search effort end up impeding it by working off of faulty information or getting in the way. We understand that official groups like the police, have a job to do and we should support that, not hinder it. We were made aware of this missing person no fewer than 5 times before an official press release from an agency in charge was made. We held off on launching a Beacon until we had that official word. From being directly contacted, to first alerts being delivered was 17 minutes. In 17 minutes we checked and double checked the information we had, making sure the most relevant and up-to-date details were included. We included name, description, image and known mental state in that first alert. The controlling agency had not released any information on a search so our main aim was to get locals looking out for our subject and to make sure he was recognisable to as many people as possible. The third response would start a geo-location process that ensures future Beacons are local. The first meant we’d reached someone in the area. The second, at least in this case was the most valuable as we were working without further directions on a search response so were purely looking to raise awareness. At the time of launch, we had just shy of 500 Beacon users. 97% had read and responded to our message in 7 minutes. 70% had taken a positive action, that is to say they were either local or they had shared our post with all the information. Within the first few hours, the post had been shared 300 times and had reached an audience of about 10,000. That’s 10,000 timelines that our missing man’s face had appeared on. 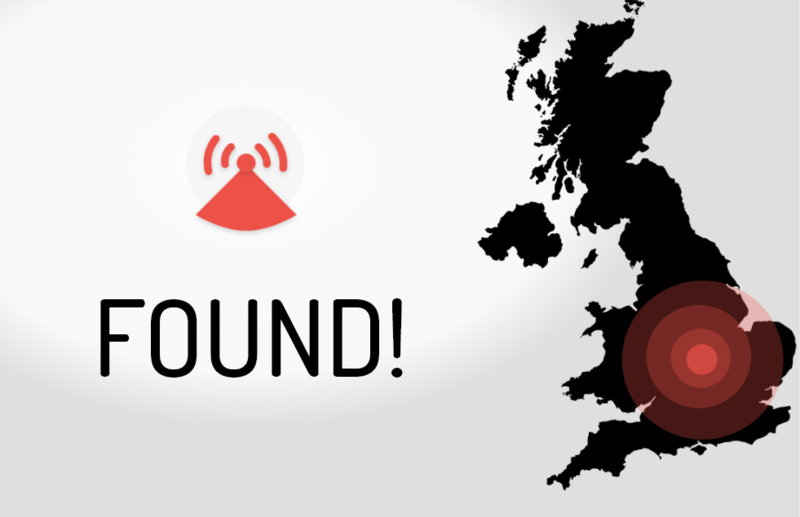 By 12 hours in, the reach of our Beacon Alert had eclipsed the reach of the leading agencies. What was more interested is we had started to notice a change in language with shares that seemingly had nothing to do with us. People had begun to refer to the missing person as a ‘Beacon’, language that certainly wasn’t being used before. This made it slightly easier to monitor our reach. By 18 hours in, our initial Beacon had reached 130,000 people in the UK, or 0.2% of the population, focused in a radius around the subjects last known location. This exceeds anything we could have hoped for, for a first time out. The veteran in question was found, not in great shape, but alive. Knowing how these things can go, we’re calling it a win. In the sense that Beacon did its job, our involvement there is over, though you can be sure we’ll be keeping in contact with the veteran and his family to ensure this never happens again. At All Call Signs we’re firmly of the belief that prevention is better than reaction, and we’re keen to make sure the right agencies take over from here. Did it go perfectly? No. Could he have been found sooner? Probably. What we’ve learned is that Beacon only works if the leading agencies are involved from the off. We wasted valuable time trying to ascertain if the threat to life of a veteran was legitimate or not. As wonderful as the uptake from the military community has been towards Beacon, we need to ensure the relevant police forces, missing persons charities and everyone in between know who we are and what we do. Although the Beacon did result in boots on the ground, the nature of this incident means we never really got to test out how well our system works in assembling ground teams. Sad to say it probably won’t be too long before we get that opportunity, but in the meantime we need to focus on the positive outcome of this example. We don’t know if the veteran was found as a direct result of Beacon, but we know that we tripled the number of people who knew our veteran was missing, and knew what he looked like. For us, that’s enough to keep growing what we’re doing here. We’re fully aware that none of this works without good people willing to go the extra mile for our veterans and serving personnel. Thank you for adopting Beacon and All Call Signs as part of the response to incidents like these. We set out on this endeavour with one goal: Save a life. We may never know if we’ve reached that goal but we’ll keep trying all the same.